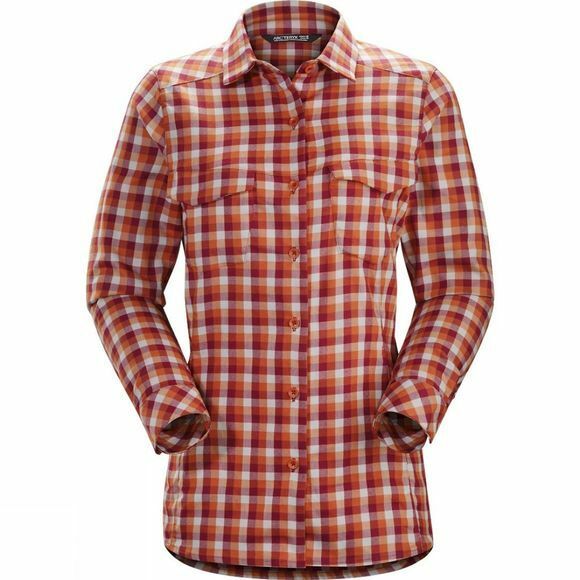 The Women’s Addison Long Sleeve Shirt from Arc'teryx is a warm, soft flannel plaid with contemporary refinement and a performance polyester fabric that is brushed for warmth and softness, and dries quickly should it get wet. Two chest pockets have snap button fastening, and the front placket has a traditional button closure. The fit combines comfort with clean, tailored lines, and articulation in the sleeves and gussets under the arms add freedom of movement.